International Moving Costs - Compare Movers & Save up to 70% ! 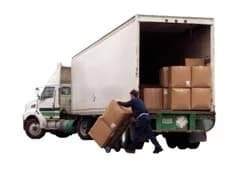 The loading of your household and personal goods in a moving van or container is heavy work and does not always go according to plan. Depending upon the type of house you live in, the accessibility and the size and weight of your goods, a moving lift may be required to access upper floors or move heavy objects. The costs for transportation are dependent upon a number of factors. Will you be using a transport container; by sea or air transport? By combining different methods your international mover can save you money. Keep in mind that the total size and weight of household goods that you transport will directly affect the transportation costs. The packing of your household and personal goods and disassembly of furniture can be a daunting task. To be sure that your household and personal goods reach your destination undamaged this should be done by professionals. Depending upon your budget, you may choose to do this yourself or have professionals to it for you. If you cannot directly move into your new house or you wish to sell your house earlier, it may be necessary to temporarily store your household goods. Unpacking and reassembly of your household goods can be done by the moving company at the new residence. These costs are dependent upon distance and accessibility of the new residence. A moving lift might be required to access upper floors or move heavy objects if an elevator is not available. You do everything with your moving company to insure that your household goods arrive at your new residence undamaged. It can still happen that during the long voyage something goes wrong. We recommended a home insurance that covers household goods during the move and at your new residence. Keeping in mind the points above; an average estimate of a 3 bedroom home, shipping from UK to US will cost approximately $6000 to $8500 (excluding insurance). Fill in from where you are moving from and where you are moving to in order for us to provide you with a quote on the exact costs of your move. Try not to underestimate what has to be moved! The more items you omit, the more likely it is that you will get charged more after your move. Try to make a list with all the items which need to be moved. When you make a list with all the things you need to move, it is easier to calculate the moving costs before your international move. Extra charges on moving costs you calculated before your move can be likely incurred. For moving heavy things such as a piano or a car or uncoupling appliances a extra costs can be charged. When looking for the cheapest quote doesn’t always guarantee you of great quality of work, as some movers may overlook items or special needs. Your move could become more expensive. Be sure that all your items are carefully noted and calculated. You can entrust your move to the moving companies that you find on Intlmovers. They are able to suggest a wide range of services to help you with a successful international move. Before choosing, remember the moving tips. When you pick your company, describe fully the services that you need. Our companies will offer you the best value for a competitive price for the services that you need, so you can be sure that your moving costs are not too high. Pick the company which meets you needs best.